This is the best newspaper comic book compilation I have. 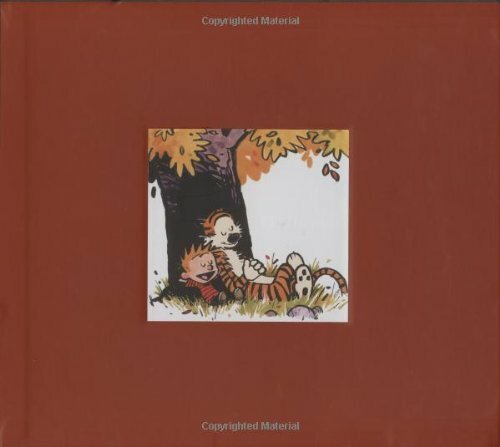 The Complete Calvin and Hobbes is the collection of 10 years of comic strips. There are 3 books housed in a slipcase. On each page is the date the comic was published. And the comics are arranged chronologically. You can follow the funny story arcs and the see how the comic has evolved over the decade. Book One has 14-page introduction written by Bill Watterson himself. All the comic strips are printed on high quality paper and all Sunday panels are in colour. It's seriously a tome and it weighs like one too. The hard cover is sturdy and professional and the binding is perfect. If you're a fan of comic strip, you should probably get this collection. I was wondering, did these include the extras Watterson had done exclusively for the previous books? What are the extras? And what previous books? Like the Authoritative, Essential, and Indispensable books. They all had content exclusively to their respective collections and I was wondering if they had carried those over to these volumes or if it was strictly the daily strips? Thanks! I've not read the individual collections before so I can't compare. Okay thanks. I'll prob pick these up for completionist's sake since Bill Watterson doesn't seem to be in much of a hurry to release any new material.